BJP leaders have been desperately trying to obtain permission from the administration for organising some political rallies ahead of the upcoming Lok Sabha elections. As the BJP Jalpaiguri district committee president, Debashis Bhattacharya, was busy holding meetings with party workers in preparation for Prime Minister Narendra Modi’s rally at Chundabhandar between Dhupguri and Maynaguri in Jalpaiguri district in February, the convener of the BJP’s North Bengal zone, Rathindra Bose, went on a door-to-door campaign, even as he invited people to attend another political rally at the Balurghat Railway Ground in South Dinajpur on 3 February, where Uttar Pradesh CM Yogi Adityanath is scheduled to attend. 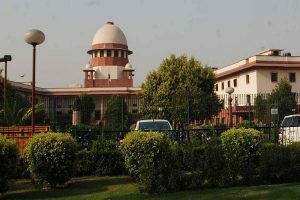 According to party sources, though the leadership is expecting that the South Dinajpur administration would grant permission to land Yogi’s helicopter at Balurghat, the North Dinajpur district magistrate has not yet granted permission for landing of the aircraft beside the National Highway near Raiganj the same day. 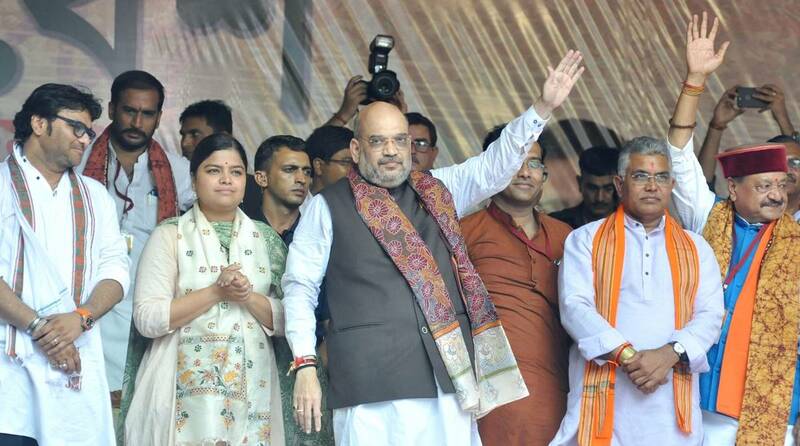 The BJP leadership plans to organise two rallies for the UP chief minister covering two Lok Sabha seats of Balurghat and Raiganj. “We hope that the South Dinajpur administration will give permission for landing Yogi Adityanath’s copter in Balurghat. But we suspect that the North Dinajpur administration will not allow the landing near the venue near Raiganj,” Mr Bose said. “BJP leaders in North Bengal are now excited after a split in the Ghani family, which used to have a strong Congress base in Malda, after Mausam Noor joined the Trinamul Congress at last, fearing her defeat as the saffron brigade has come up in North Malda LS seat as an alternative,” a party leader said. Based on the reaction of the people about the prospects of the BJP, if both Congress and the Trinamul candidates contest, BJP workers are eagerly expecting a suitable candidate to win the North Malda seat. While a section is in favour of a celebrity candidate, another has been arguing for a local candidate. A senior BJP leader, however, brushed aside any possibilities of pitting Mukul Roy against Mausam Noor. “We know the name of the possible candidate, but we should not name the same before announcement from the central leadership. But we can say this that the BJP candidate would win the North Malda seat this time,” said Mr Bose. “We are planning to muster around four lakh people for the Prime Minister’s rally at Chundabhandar near Maynaguri tentatively on 8 February. People from JACS (Jalpaiguri, Alipurduar, Cooch Behar and Siliguri) will join the rally,” Mr Bose said. Party sources said the PM will hold a rally in Siliguri, which is under the Darjeeling LS seat, during the final round of the Lok Sabha campaigning.